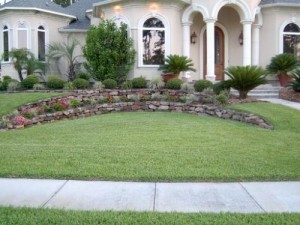 At EconoCuts, we provide a full range of lawn service offerings to our residential customers. Our services include lawn maintenance, landscape design, seasonal color changes, clean-ups, fences and decks and residential construction projects. Our diverse expertise and professionalism allow us to customize any project for our customers. Each of our services is completed with the same attention to detail that has made us successful over the past 25 years. You can be assured that when you engage us for a project, you are getting the best value for your money. We strive to be your ou tdoor solutions provider and are constantly expanding our services and service areas. This entry was posted in Residential, Services. Bookmark the permalink.